Creating a screen lock is highly recommended to increase the security in mobile devices like the #Samsung #GalaxyNote5. When screen lock is enabled, you will need to draw the correct screen pattern, enter the correct PIN and password, or scan your fingerprint to unlock your device and gain full access to the control keys, buttons and touchscreen. This content will help you learn how to set up and customize your phone’s lock screen and make it more secured when locked. 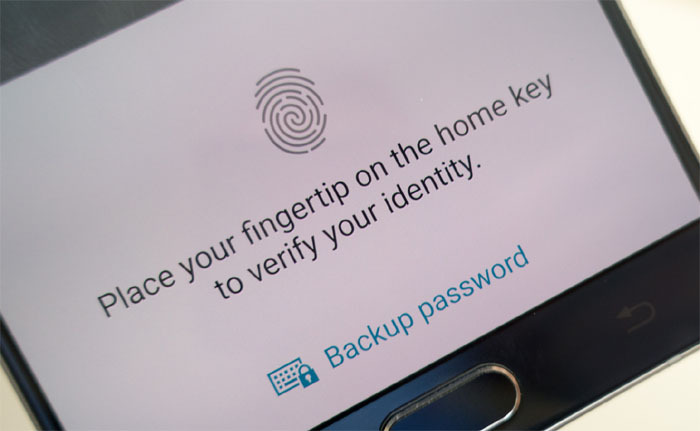 In addition to lock screen methods, we also demonstrate how to utilize Samsung’s built-in fingerprint scanner for advanced biometric security for your Galaxy Note 5. In this guide, we will access the lock screen settings to set the method for unlocking your phone and customize lock screen options according to your preferences. The following options are accessible through the lock screen and security menu on your phone. Screen lock type – to set your screen lock method. Show information – to choose which items to show on the lock screen, like a Dual clock, weather, and owner information. Notifications – to display content and notifications on the lock screen. Unlock effect – to set the effect displayed when the lock screen wakes up. Secure lock settings – to set secure lock functions like Auto lock, and Lock instantly using the Power key. Fingerprints – to register your fingerprint(s) on your phone for locking and unlocking. Unknown sources – to allow or deny apps installation from other sources than the Google Play store app. Other security settings – to configure and manage settings for encryption, password visibility, security updates, credentials, and other available security features on your Galaxy Note 5. Note: Options may vary depending on the selected screen lock method. Tap Lock screen and security to open the lock screen and security menu. Available screen options for your Galaxy Note 5 (from least secure to most secure) are none, swipe, pattern, PIN, password, and fingerprints. On the Settings screen, swipe the headings to the left. Scroll to and tap Lock screen and security. You can also follow the prior method we introduced to access lock screen and security settings (Apps->Settings->Lock screen and security). You may need to enter your credentials if you’ve already set up a different type of screen lock. Enter a password (at least 4 alpha-numeric characters). Re-enter your password to confirm it. Important Note: Five successive incorrect password entries will prompt you to wait for 30 seconds before you can try again. Tap PIN from the Screen lock type menu (Apps->Settings->Lock Screen and Security->Screen lock type). Enter a PIN (at least four digits). Tap OK to save your settings and set PIN as screen lock. Important Note: Failure to enter the correct PIN in five successive attempts will prompt you to wait for 30 minutes before you can try again. Swipe down the Status bar from the Home screen. Tap the Settings icon located on the upper-rightmost corner of the screen. Tap and drag on the dots to draw the preferred pattern. To redraw the pattern, tap Retry. To accept the pattern and proceed, tap Continue. Draw the same pattern again and tap Confirm to confirm it. Your backup PIN will be used to unlock the screen, in case you forget your unlock pattern. The backup PIN must be 4-16 digits. Enter the same PIN and tap OK to save it. Show content – to show all notifications. Hide content – to display a notification is available but won’t tell about the notification until a PIN or password is entered. Do not show notifications – to prevent notifications from displaying on the lock screen and prevent the notification bar to be opened. Tap Done, when you’re done with your selection. Toggle the On/Off switch next to Make pattern visible. Make sure it’s OFF. The following steps will help you customize how much information to display for notifications on the lock screen. Swipe the headings to the left of the Settings screen. Tap Notifications on lock screen to continue. Select any of the options to Show content, Hide content, or Do not show notifications. Press the Power/Lock key once to lock the screen. Press the Power/Lock key again to display the lock screen with your new settings applied. Scroll to and tap to select an application you want to hide notification contents from. Tap the slider next to Hide content on lock screen to enable the feature. For most applications, you have to enable Block Notifications to block notifications, sounds, and vibrations alerts. To push the app’s notifications to the top of the list on your lock screen and notification panel, you may turn on Set as priority feature on your phone. If you want to unlock your phone screen with a simple swipe, just tap Swipe to select it among other lock screen and security options. This option offers the lowest security for your phone though. Tap Lock screen and security to open its menu. Enter your unlock screen method (PIN or password), draw your pattern, or scan your fingerprint, if necessary. Tap None. The screen will then be disabled. The fingerprint scanner has been embedded into the Galaxy S series home button. And now the Galaxy Note 5 integrates a fingerprint sensor that offers an even faster and more convenient security. In order to use this security feature, you have to enable fingerprint scanning and add more fingerprints to your Note 5 device beforehand. Swipe down the Status bar on the Home screen. Tap the Settings icon (wheel-like figure) located on the upper-right corner of the screen. Doing so will open the Settings menu. Scroll to and tap Lock screen and security from the given options. Scroll to and tap Fingerprints. Tap Add fingerprint to continue. When prompted with the Disclaimer screen, read and review the information and tap Confirm to proceed. Use the Home key as a fingerprint scanner. Place your finger across the entire Home key. Follow the onscreen prompts to fully scan your fingerprint. If prompted with a specific fingerprint placement, then read the information and tap Continue. Re-enter the same password to confirm. You will be prompted to set screen lock type, tap Set to enable fingerprint unlock on your device. Fingerprint lock is now activated on your Note 5. This means you need to use your registered fingerprint to unlock your device screen. To unlock the screen, simply place your registered finger across the Home key when viewing the lock screen. Follow these steps to enable Unknown sources feature on phone and access other security settings to configure. Scroll to and tap Lock screen and security from the Settings menu. Tap the On/Off switch next to Unknown sources. Doing so will enable installation of non-Google applications on your device. To access and manage other security options for your phone, tap Other security settings. Tap any of the options you want to configure. Encrypt device – to encrypt all data on your phone. Make passwords visible – to show password characters briefly as you enter them. Security policy updates – to check for security policy updates, manually or automatically. Send security reports – to send security reports to Samsung through wireless network for threat analysis. Device administrators – to manage your phone administrators and application installation privileges. Storage type – to specify a storage location for your credentials. View security certificates – to show certificates in your phone’s ROM, including other certificates you’ve installed. Install from device storage – to install a new certificate from storage. Clear credentials – to delete credential contents from your phone and reset the password. Trust agents – to perform certain actions when trusted devices are connected to your Note 5. Pin windows – to pin app on your phone screen, preventing access to other features of your device. Usage data access – to show apps that have access to your phone’s usage history. Notification access – to show apps that have access to the notifications you receive on your Note 5. What to do in case you forgot your PIN, Pattern, Password, or Fingerprint? If you forget your unlock PIN and/or password, you need to contact Samsung support for further assistance on PIN retrieval. If you forget your unlock pattern, you can use the backup PIN instead. If you also forget your backup PIN, you can try again five times. After the fifth failed attempt, you can use the option to Unlock via Google, and unlock your phone using your Google credentials. If you forget which fingerprint you used to set up the lock screen on your phone, then you can enter the backup password you’ve created when you register your fingerprint on your device. We are always open to your problems, questions and suggestions, so feel free to contact us by filling up this form. We support every Android device available and we are serious in what we do. This is a free service we offer and we won’t charge you a penny for it. But please note that we receive hundreds of emails every day and it’s impossible for us to respond to every single one of them. But rest assured we read every message we receive. For those whom we’ve helped, please spread the word by sharing our posts to your friends or by simply liking our Facebook and Google+ page or follow us on Twitter. My galaxy note 5 was making an annoying sound when i used my fingerprint to unlock the screen. Can you kindly advised what should i do to get rid of the sound? Thanks. Is there any way to disable this: Five successive incorrect password entries will prompt you to wait for 30 seconds before you can try again?? My kids have locked me out of my phone for 30 MINUTES multiple times. Even the 30s is very annoying. Can I have my phone secured with a password/fingerprint WITHOUT having the screen lock me out after too many attempts? My phone will use swipe method even if I have set up a passcode to unlock phone. How can I ensure my phone will stay locked until passcode is entered? I’ve cleared the credentials but now am unable to follow links. How can I load teh credentials back on? Thanks! How do you take camera off lock screen on the note 5? On the galaxy note 5, How do I slow down the lockscreen shut off timer (it’s only giving me a few seconds to swipe)? On the note 5 lock screen how do i stop access to my contact list!